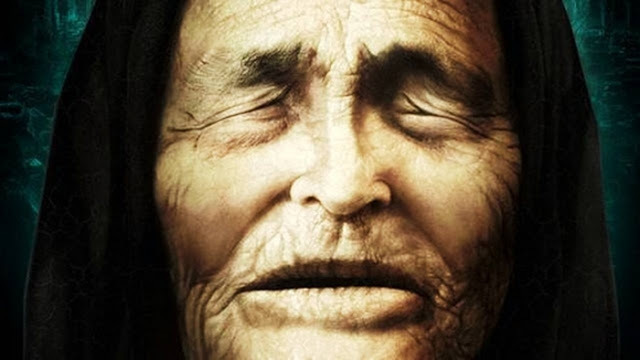 Baba Vanga – as she was commonly called – lost her sight when she was only 12 years old. After being ‘swept’ by a storm, the girl somehow survived, covered with mud and rocks. Vanga made her first predictions when she was 16, when she helped her father find a sheep that was lost from the herd. Somehow the girl was able to give her father a detailed description of where the animal was being kept. The predictions for the future made by Baba Vanga are that in 2023 the Earth’s orbit will change, which would “melt the poles” and put the “Middle East aflame”. She also predicted that the “great Islamic war” would begin in Syria, culminating in complete control of Rome in 2043. In addition, according to prophesy, China would become a world power in 2018. But, as many agree, it erred for a few years as China, because it is already an economic and military power. The blind mystic also said that a new energy source will be created and world hunger will begin to be eradicated between 2025 and 2028. A manned spacecraft will be launched as far as Venus . Vanga assured that there will be no survivors on Earth in 3797, and that the aliens will help the man to live under water in 2130, and there will also be a possible war on Mars in the year 3005. September 11 terrorist attack – “Horror, horror! The American brothers will fall after being attacked by steel birds. The wolves will be howling in the bush and innocent blood will be shed. 2004 Tsunami – “A huge wave will cover a great coastline filled with people and city, and everything will disappear underwater. Everything will melt, like ice. A “major Islamic war” will begin with the Arab Spring and culminate in the assumption of the Islamic State . Her prophecies go until 5079, when she says it will be the end of the world. Obviously, there is no guarantee that her predictions will be fulfilled, but even though she has said that aliens will help humanity live under water, she did not say when the extraterrestrial reality will be opened to humanity on Earth. Anyway, those who live will see!